Because of Durban’s location, it makes it the perfect port to embark on Mauritius cruises. Mauritius is an island nation located off the southeast coast of Africa, lying approximately 870km east of the island of Madagascar. Its capital, Port Louis is located in the northwest of the island, and this is where the cruise ships dock, allowing you two or three days to explore the island and take in all of the pristine beaches, aqua waters, and many things to do in Mauritius. Mauritius cruises offered by MSC Cruise lines offer 10, 11 or 12 night excursions all leaving Durban and either going directly to Mauritius or stopping in Reunion and Madagascar as well. Each cruise allows you days on the island so you really get a feel for its culture and history. MSC is not one of the mega-cruise lines and offers smaller ships with the amenities that you have come to expect coupled with the small-ship atmosphere and attention to detail that their staff exudes. 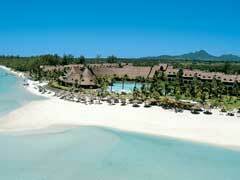 As it is a tranquil island paradise, a Mauritius honeymoon is something that many people choose. Every hotel on the island offers packages and deals to honeymooners, and weddings can also be arranged with very little hassle. With Mauritius’ laid back attitude, everything is possible. Mauritius cruises also take advantage of the regions excellent deep sea fishing opportunities. The area is rife with all sorts of large fish, including several species of shark, tuna and blue Marlin. Barracuda and scores of other species are also in the waters around the island that can reach up to 70m deep just one kilometer off shore. If land activities are more your style, then Indian Ocean cruises will not disappoint. Mauritius is home to many golf courses, fabulous shopping opportunities and of course miles and miles of sandy beaches on which to relax. Mauritius cruises, much like others in and around Africa are a virtually untapped market, meaning that you get less crowded ports of call and more time to explore the islands that you stop at. Cruises to Africa are still in their infancy, and the ports of call are not as built up as some others that you may have experienced, but there is something special about being one of the first to explore and experience a place that is largely unspoiled and not as commercial as other ports of call.